Your community can count on the licensed, bonded, and insured water damage Haverstraw team, at 911 Restoration Westchester, to repair any flooding or leakage if you ever experience unwanted water in your household. If the homeowners encounter water damage on their properties, our water damage Haverstraw is sure to be available around the clock to make all the repairs you need. Our water damage Haverstraw crews know that moisture damage only gets worse when sits for an extended period of time, so in order to minimize the damage, our unit is available 24/7/365. When it comes to getting chaos under control, there is no one more equipped than us to bring you a fresh start. We do more than home restoration, we deliver people peace of mind after it has been swept away from them after a rain. We dry your space, and make everything serene again. You can depend on our members when you need help, because we are both fast and efficient, so call our water damage Haverstraw techs today and our experts will provide you with a free home inspection. The fresh start is the embodiment of the idea that everything is going to be better than ever. It is not just words, instead, our water damage Haverstraw techs prove it to customers in the work we do, and how we go about getting it done. The water damage Haverstraw team here is IICRC certified, to ensure homeowners that we are the best for the job. Take this true restoration story as an example as to what the community can do for you. In May, with its sporadic showering, a homeowner noticed a particular corner of her living room ceiling, leaking. Concerned about discoloration and mold growth, she called us, the restoration experts. Our water damage Haverstraw pros showed up to her door within the hour, and then started our free water damage estimate. Through the use of infrared imaging we were able non-invasively peer into the ceiling, and it revealed that the leak was not due to rain. Instead, it was due to a pipe leak. After identifying the nature of the damage, we began remediation by shutting the water off to the residence. Following that, our water damage Haverstraw agents removed the paneling, and created an air tight line from the affected area to our blower. Ensuring that clean air cycles through the space was a good way to keep mold growth at bay, and to guarantee speedy drying. Finally, we replaced damaged paneling with brand new material. 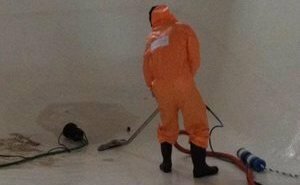 If you are in need of an experienced team, that will know how to best help you, then call the water damage Haverstraw team at 911 Restoration Westchester today. The water damage Westchester pros strives to make the restoration process as seamless and as streamlined as possible. Therefore, in order to achieve this best, we handle every aspect of it. And, yes, this means that we file and talk to the insurance company on your behalf. Our water damage Haverstraw techs work with insurance companies across New York, and we have seen all sorts of damages throughout the years. Trust that our water damage Haverstraw team are capable of classifying, identifying, and documenting the restoration process in a way that best fits the coverage offered by your policy. The key to a successful claim is one that conveys the information in such way, that it is undeniably that of which you are entitled to when it comes to insurance. The adjuster looks for every reason to deny your claim, so our water damage Haverstraw specialists have to submit the paperwork in a way that gets you every penny. 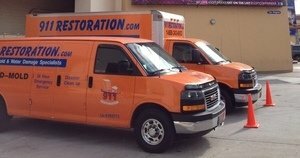 If you are in need of a restoration company that work around the clock for you, then call our water damage Haverstraw team with 911 Restoration Westchester today!